In this compilation, the authors discuss a synergistic enhancement of electron and thermal conductivities of epoxy-based composites (CMs) with different hybrid fillers. Their investigation shows an increase of the thermal conductivity as compared to CMs with a single carbon filler. This increase is more pronounced for GNPs/BN fillers. However, the role of an interface thermal resistance is still dominant in the determination of the thermal conductivity of investigated epoxy composites. A subsequent chapter aims to present an overview of noteworthy functionalised materials that have been produced in recent years, in order to act as a guide for the future design of more efficient adsorbent materials. 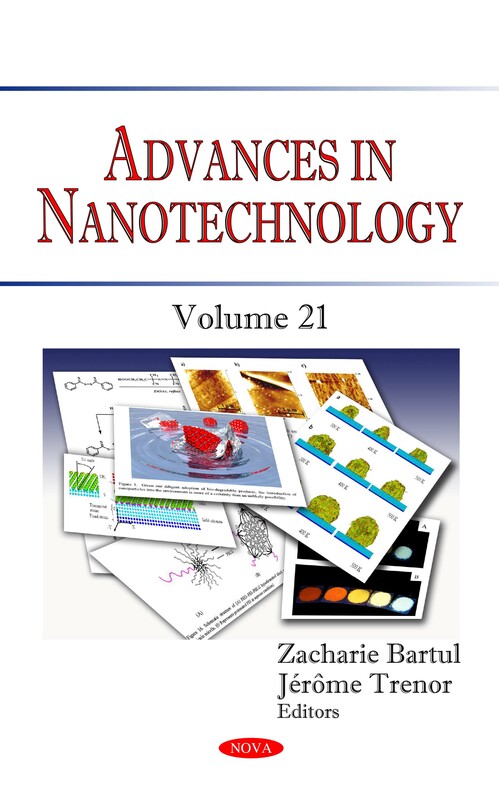 The authors also provide a review which could pave the way for the potential use of nanotechnology in the treatment of skin diseases. The potential implication of the nanotechnology-based cosmeceuticals could be significant and is warranted to be evaluated in long-term in vivo and clinical studies. Next, a transparent and flexible crystalline polymer nanohybrid was fabricated, containing well-dispersed magnetic nanoparticles with organic chain-modified surfaces. The partially fluorinated copolymer matrix used is composed of switchboard-type lamellae. These become transparent owing to the creation of high-density amorphous regions on drawing the corresponding film at just below the polymer melting point. Lastly, the book investigates double-diffusive convection in unsteady nanofluid flow over a moving surface in a porous medium in the presence of a chemical reaction and subject to thermal radiation. This study includes the effects of Brownian motion and thermophoresis.